Once your meat is dried and you have Biltong you may find it pretty difficult to cut or slice. The simplest way to cut your Biltong is by using a very sharp butchers knife. This works well but it is certainly not the easiest way! South Africa is well known for being a very innovative nation so it is no wonder that a large variety of Biltong cutters and slicers were developed over the years. Most butchers in South Africa use an electric Biltong slicer. This slicer works on the same principle as the old fashioned string bean slicer. It is of course much bigger and has a motor attached. This slicer also comes in a hand driven version. 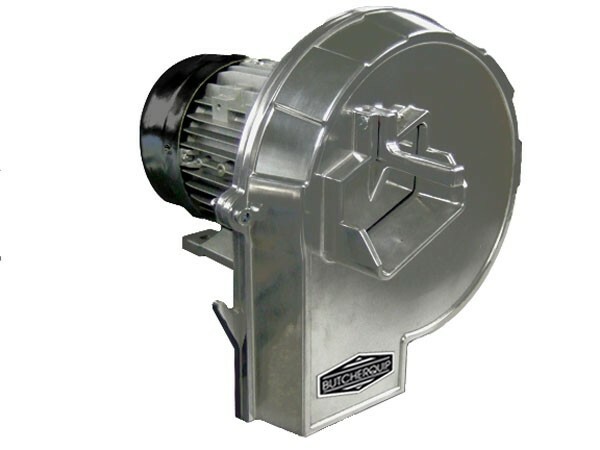 Prices range from R 6594.50 for the fully industrial electric model to R 2295.00 for the semi-industrial hand version. The wooden hand cutter is very popular with the general public. There is an incredible variety of hand cutters. Some of them are made of woods such as Yellow Wood, Kiaat, American Walnut, Red Ivory, Purple Heart etc. Sometimes they even have one of the “Big Five” (Lion, Elephant, Rhino, Buffalo & Leopard) burnt into the wood. A very sharp high tensile steel blade takes care of the cutting. 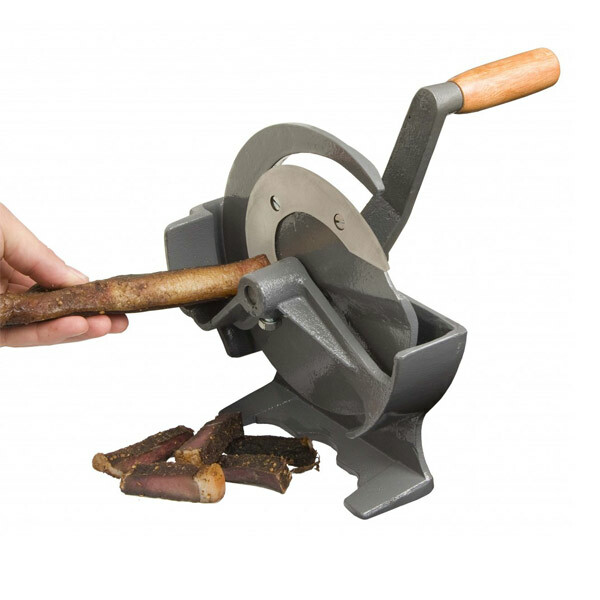 Our Biltong cutter (pictured here) is made of Black Wood. It is simple and functional and gives you the best value for money. It is disassembled for shipping purposes and very easy to put together again. The price is R 645.00. 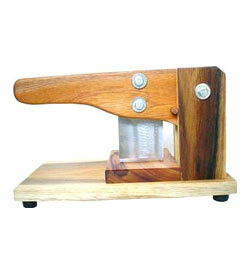 SPECIAL: This beautiful blackwood cutter is yours for only R 525.00! !